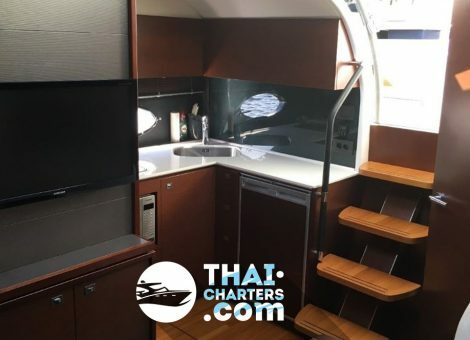 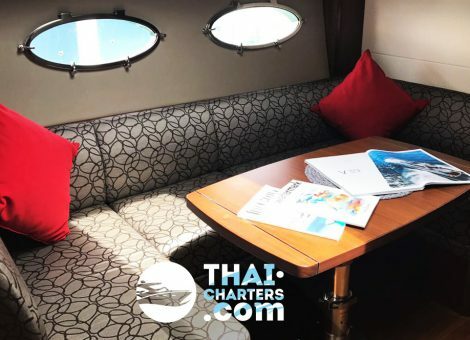 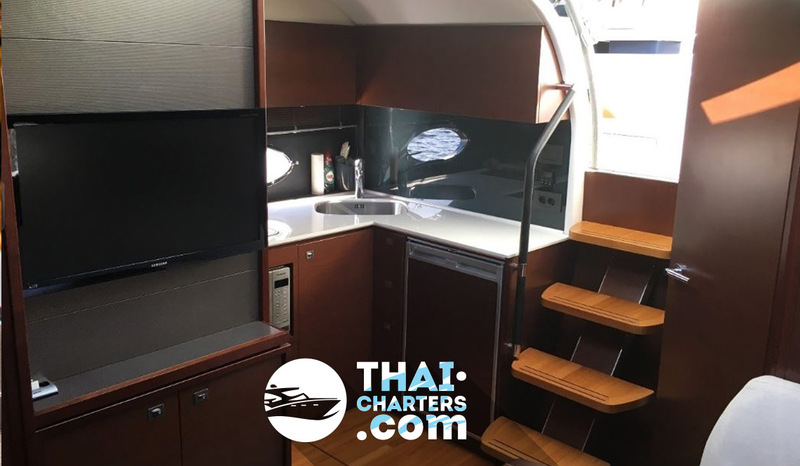 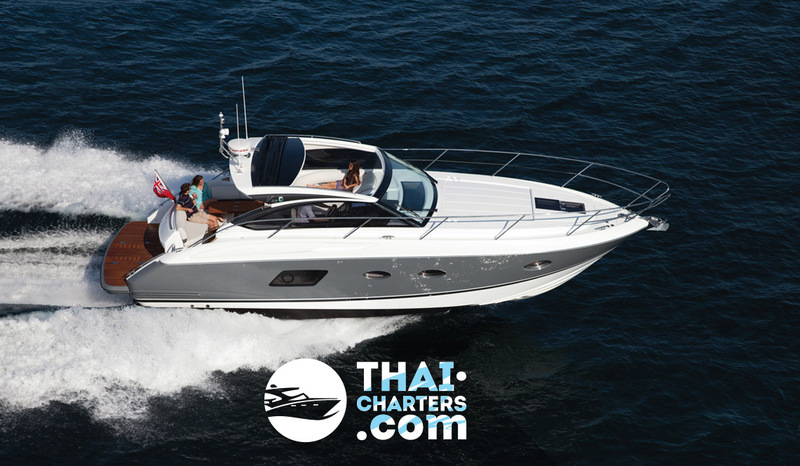 Motor yacht Princess V39 for rent in Phuket. 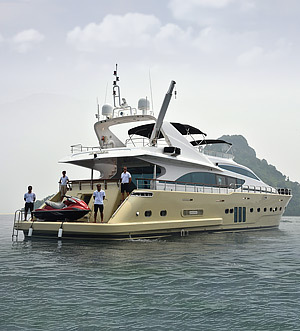 *The yacht is available only for day cruises. 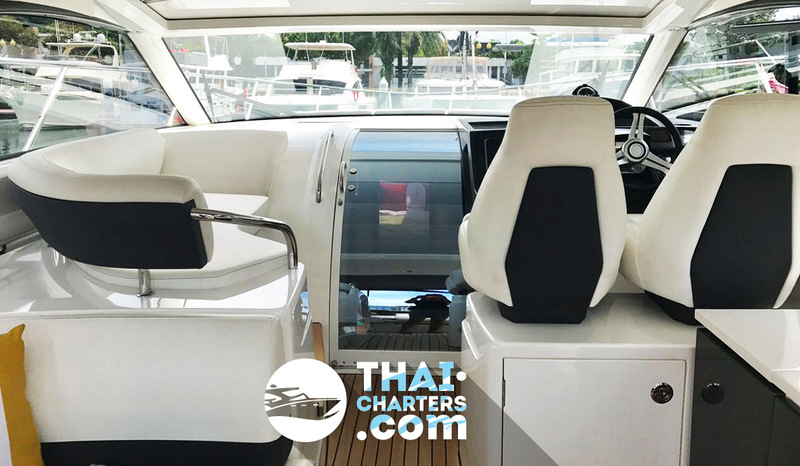 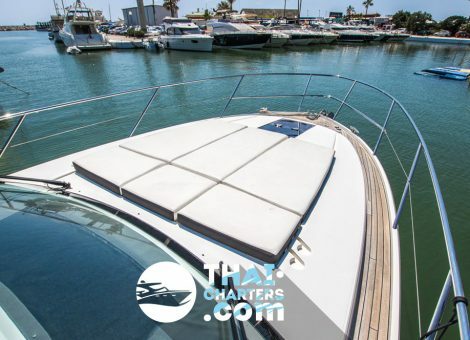 Motor yacht Princess V39 from the famous English brand Princess – the perfect balance between the small size of the yacht, high quality, speed and relatively low cost. 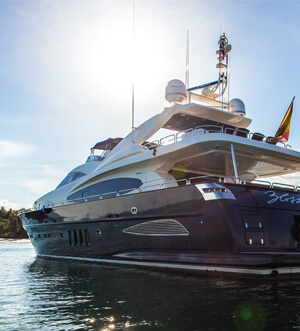 Minimalism in the interior, light shades, quality materials in the decoration and maximum attention to detail – a typical approach of Princess Yachts International. 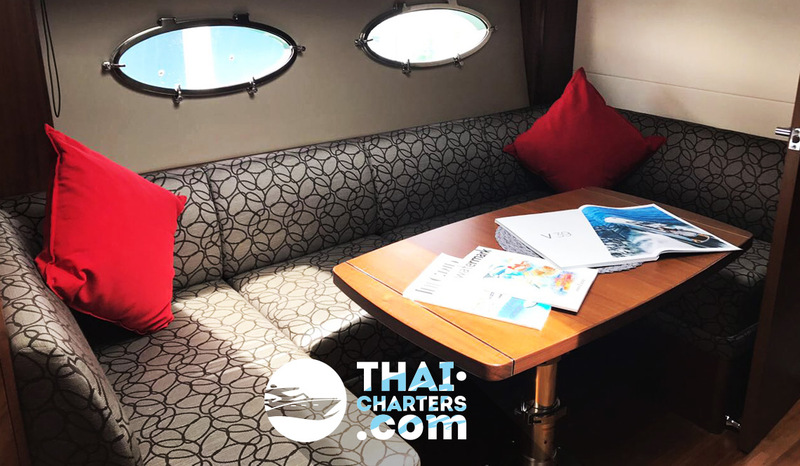 Salon and equipped galley make up a single space. 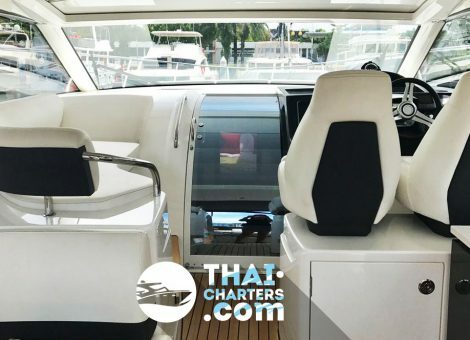 Princess V39 – the cockpit is ticked, there is a full bar. 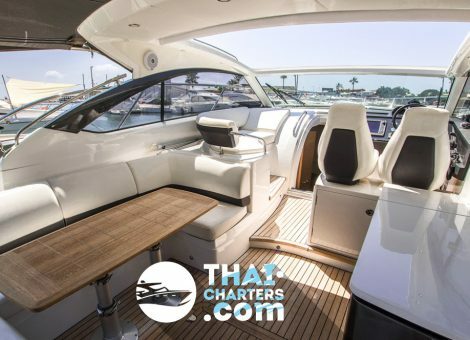 All cabins are spacious and contemporary in style. 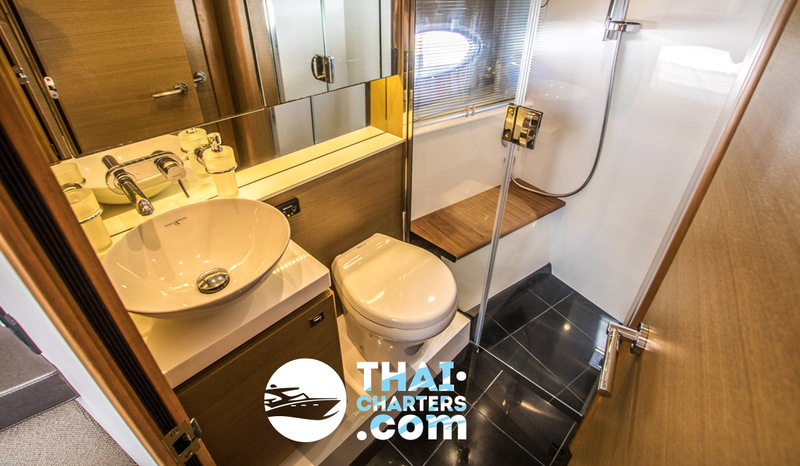 In the front cabin is a bathroom, which has a second passage to the salon. 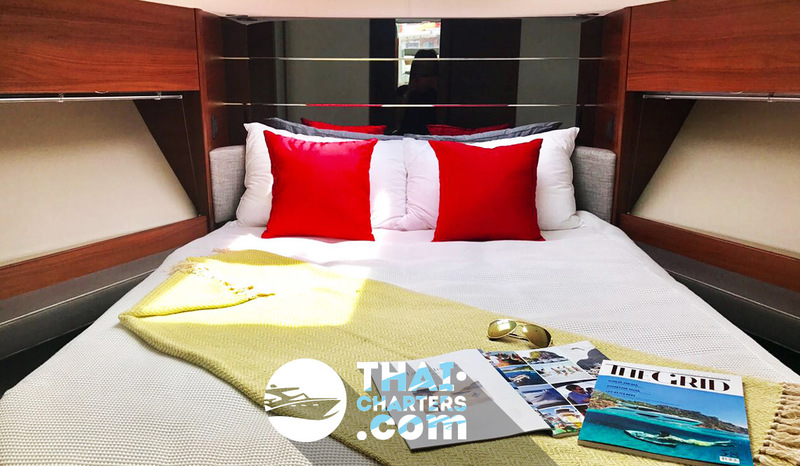 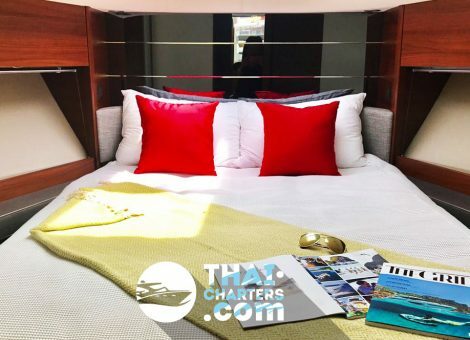 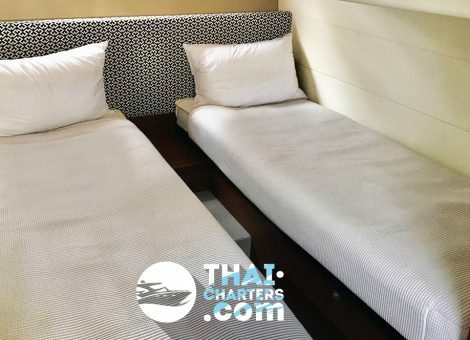 The aft cabin can be equipped with an automatic sliding bed to convert two single beds into one double bed. 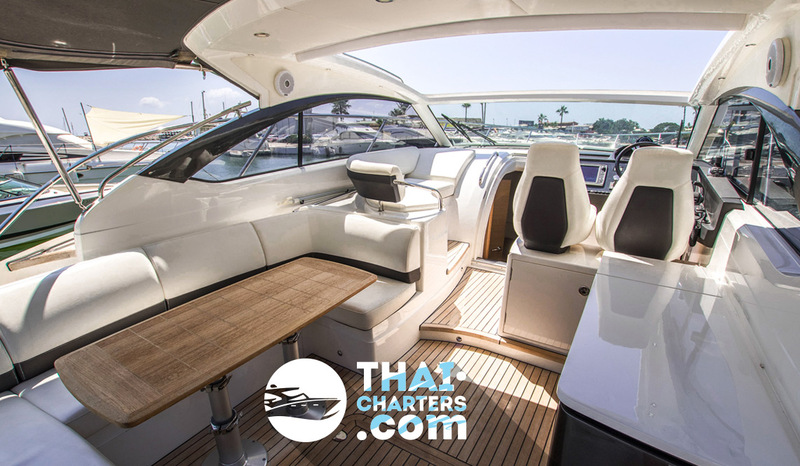 Innovative hull design and powerful engines allow the Princess V39 to gain speed in 38 knots at lightning speed. 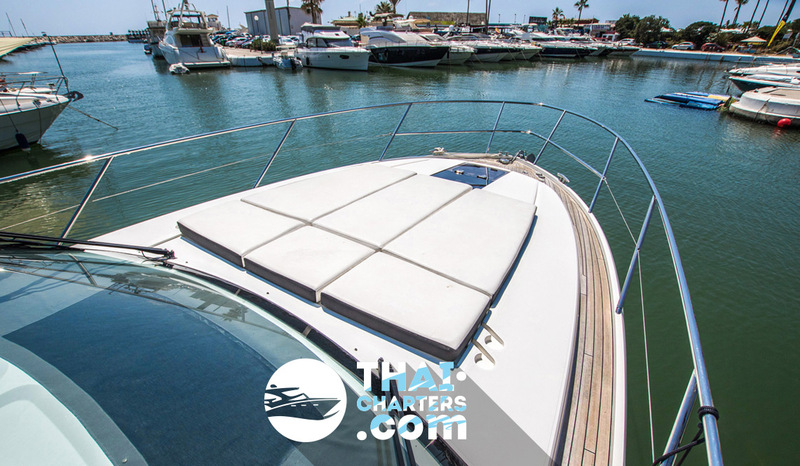 There is enough space on the swimming platform to accommodate the tender. 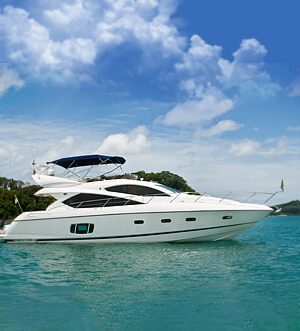 Food: snacks, fruit, soft drinks. 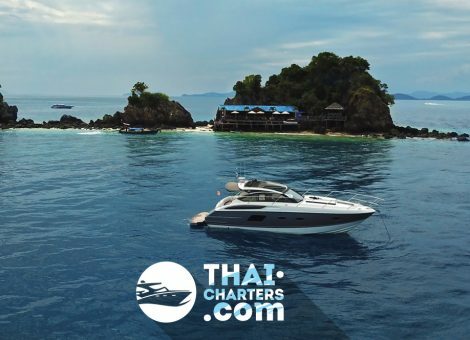 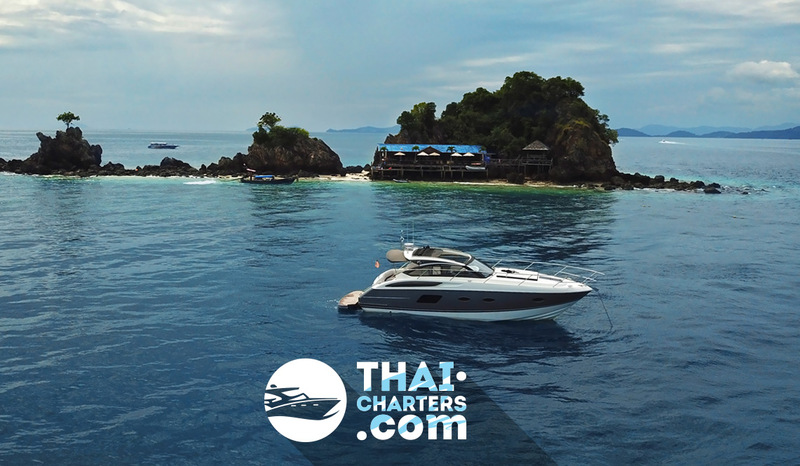 Day itineraries: Phang Nga, Krabi, Phi Phi, Racha. 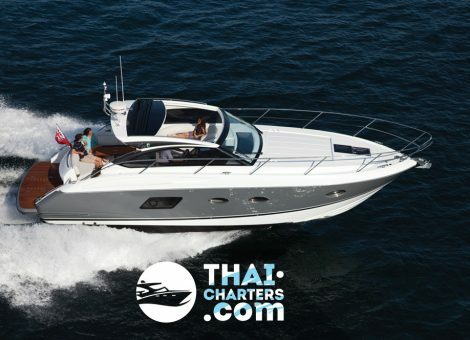 Facilities: air-conditioned salon, hydraulic bathing platform, tender (inflatable boat), deck shower, snorkeling equipment.